Who will replace Chris Evans at Top Gear? Read nextWhat should you expect from the SA Festival of Motoring? The reboot of the critically acclaimed Top Gear has quickly come to an end. Not more than six episodes have aired since it went on a break early this month. The show has had a decline in views since its revival, from 4.3 million viewers initially to 2.68 million viewers last month. Many credited the decline in numbers to host Chris Evans, with social media users posting about how the previous seasons became more than just the cars they showcased, focusing on the witty trio that presented them. Chris Evans, the top draft pick for the Top Gear hosting position, resigned just days after the season finale. “I gave it my best shot but sometimes that’s not enough,” Evans tweeted. Currently the show is still being held together by Matt LeBlanc, Sabine Schmitz, Chris Harris, Eddie Jordan and Rory Reid. The show, which had so much energy and friendly banter, struggled to regain its viewers with a cast that seemed to have difficulty gelling. But what more can you expect from a new show with a new cast? So who will be the new host of Top Gear? Many hope the dream team of Jeremy Clarkson, Richard Hammond and James May will make their return, but those hopes are dashed as they’re currently filming for their new series The Grand Tour which kicks its show off in Johannesburg. Bookies have however began to play the odds, tipping stars such as Guy Martin and celebrity chef James Martin to take the helm. But what many have forgotten is that Matt LeBlanc might be entirely capable of handling the role himself. Whoever the new host will be, there’s no denying that the show needs a dose of magic to be as good as it once was. But in the same breath, it’s also unfair for fans to expect the new hosts to have the chemistry and charisma that the dream team of May, Hammond and Clarkson used to have. 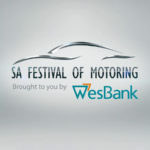 What should you expect from the SA Festival of Motoring?